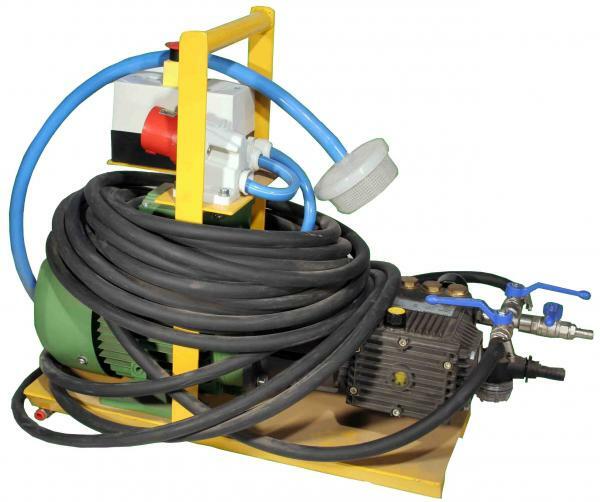 Power pack with pump for water inlet into bags (working pressure 30 bar) powered by electric motor (400 V/50 Hz). 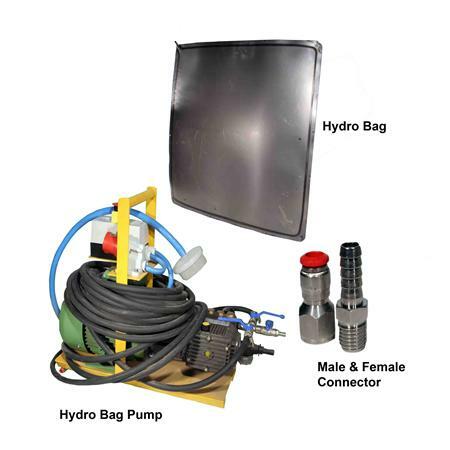 Possibility to use 3 bags simultaneously, obtaining a total capacity of 900 tons. Steel Bag 1000 x 1000mm with 300 ton capacity. 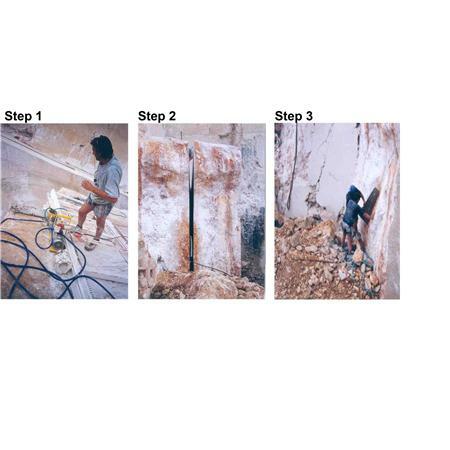 The bags measuring 1 meter x 1 meter are inserted into the bench crevice and then pumped full with water by means of a specially desgined 'hydrobag' pump causing the bag to expand to around 300 mm which gently shifts the block creating enough space to proceed with other mechanical systems to further removal of the block from the bench.